Autumn and winter are perfect to play board games, aren't they?! 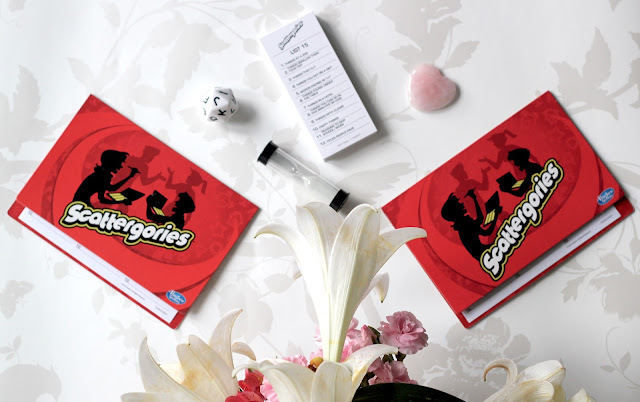 If you are looking for a creative and exciting board game for you and your fabulous friends, or a gift for a game board lovers put Scattergories on your list. Watching movies together while munching popcorn is great. However it can get a little bit repetitive (its not every week there is the Hunger Games premiere! Soooo excited!). My friend recommended Scattergories straight after my confession that I love to play Scrabble (Yes, I am one of those word obsessed people). He was so right! From the first game I knew that this fast paced game is going to be with me for longer than just one night! 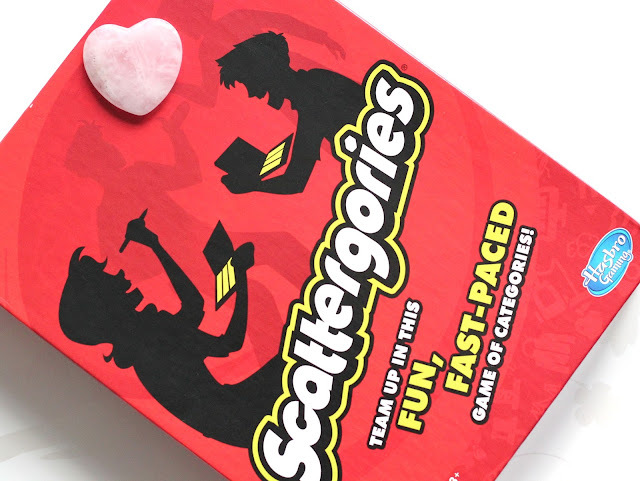 Scattergories can help to improve your vocabulary and if you are really confident… Why not to spice it up a bit and have a bet with your other half, the person with less points cooks something delicious for dinner? Or if you have friends around why not to play who will have to wash dishes (if you and your friends are close)? 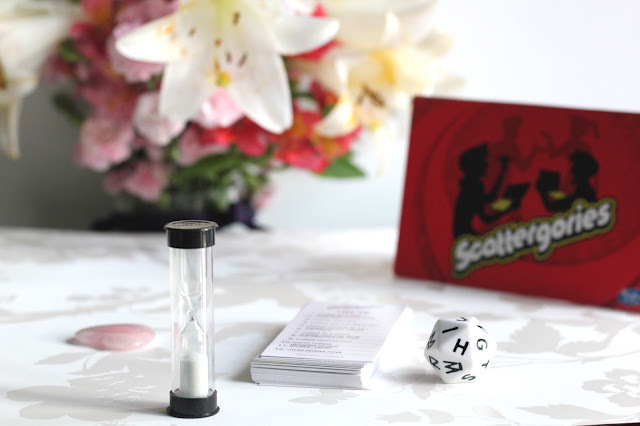 I have had Scattergories for some time now and the has box survived a 12 hour trip from Boston to Aberdeen, so I think we can assume that box will last a long time. It has 26 sides each with a single letter and you start all your answer from whatever letter comes up! The variety is incredible from a boy’s name, TV Shows, fruits, musical instruments, celebrities, and leisure activities to bad habits. 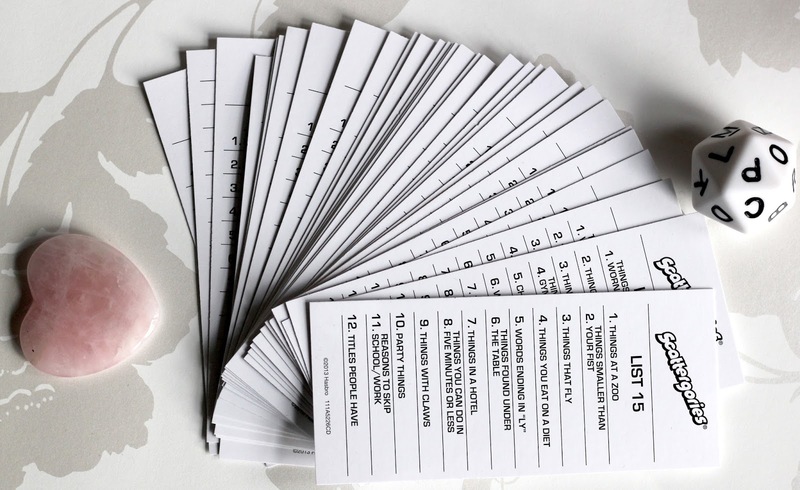 Easy, the only thing you need to have and is not supplied is pen or pencil! I really like when games do not require any extra expenses and I can use it straightaway. If you get it as a gift for someone for Christmas or birthday there is a big chance that you will be able to play it the same day! I love the fact that every player is able to read the instructions at the same time! It would be great if there were an extra two added just in case there is a bigger gathering or if one of players accidentally split coffee (ok, we both know I meant mulled wine but shhhh...) over it. What game boards do you like? 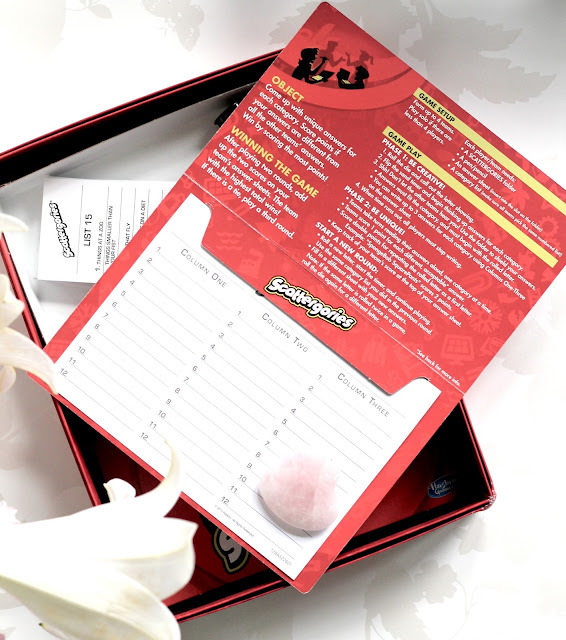 Scattergories is my favourite too! I actually remember playing with my family game that is called "Countries, Cities". Instead of dice you would just say alphabet in your mind, silently and other person says stop.